Since this is forceful claim about Iraqi history which was presented during a contest for the position as the world’s most powerful leader, it is worth examining in some further detail. Let’s take a closer look at that “history of violence between Shiite and Sunni” in Iraq. Shiites and Sunnis have coexisted in Iraq since they crystallised as two distinctive religious communities in Baghdad in the tenth century AD, when the struggle for power between various factions of the Islamic caliphate that had been going on since the seventh century became transformed into a theological one with the (Shiite) doctrine of the imamate. In the subsequent centuries, there was certainly tension between these two communities at times (not least because the rivalling ruling elements of the caliphates chose to cultivate links with particular communities to further their own power struggles), but outbreaks of violence on a large scale were extremely rare. 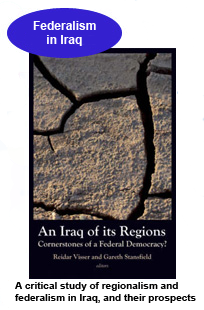 In fact, not more than three cases stand out before the late twentieth century, and these were all related to invasion by foreign forces rather than to internal sectarian struggles between the Iraqis. On the one hand, there can be no doubt that this is a grim record: it involves thousands of innocent people who were massacred simply because they belonged to the wrong sect. On the other hand, however, it is important to keep things in perspective. These six cases of widespread sectarian violence took place in a time span of more than 1,000 years. Moreover, they were mostly instigated by foreign invaders. The Iraqis themselves repeatedly closed ranks against these aggressions, uniting Shiites and Sunnis against the foreign forces. For example, in 1623 when the Safavid army was about to massacre the Sunni population of Baghdad, Shiites of Karbala intervened to save Sunnis from Shiite aggression. Similarly, in 1801, when Sunni Wahhabis sacked Karbala, the Sunni pasha of Baghdad punished the Sunni governor of Karbala for having failed to prevent the attack on the Shiites. Also, in none of these cases did the victims propose separative solutions. Never in Iraqi history has there been any call for a small Sunni state. And with the exception of feeble and short-lived attempt by some low-ranking clerics and notables of Baghdad in 1927, the Shiites have also consistently shied away from a call for a small Shiite breakaway state. 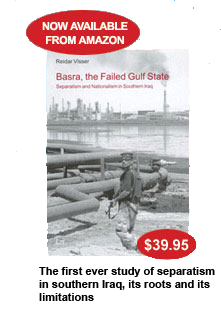 None of the major upheavals of twentieth-century Iraqi history – 1920 and 1958 – featured sectarian conflict as the main mode of political action. The accumulation of cases of sectarian violence during the decades of Baathist rule calls for special comment. True, the measures taken against the Shiites in the early 1980s and in 1991 were extremely repressive, and in a one-off episode in the immediate wake of the 1991 uprising they turned into fully-fledged explicit sectarianism through a series of chauvinist Sunni editorials in the Thawra newspaper in which the Arabness of the Shiites was questioned. However, subsequent developments in Iraqi politics show that the “Sunni” character of the Baathist regime was not its real core and that it was first and foremost an authoritarian regime built on relations between patrons and clients: In the mid-1990s the dominant political trend in Iraq was intra-Sunni struggles, as tribe after tribe challenged Saddam Hussein, who ended up executing people from his hometown Tikrit and his own family. When the defector Husayn Kamil Hasan al-Majid returned from Jordan in 1996, he was put to death just like many Shiite rebels had been after the 1991 uprising. Perhaps most importantly in the context of the US elections, this record needs to be compared with that of the country Barack Obama represents himself. Did not the Civil War cause some 600,000 deaths between 1861 and 1865? How many thousands of African Americans have been killed in KKK violence? What about the Native Americans? The numbers here are clearly higher than the number of deaths caused by sectarian violence in Iraq, and yet few are prepared to question the viability of the United States as a political project. So where did Senator Obama really want to go with those comments? There is a problem in Democratic discourse on Iraq that consists of always trying to put the actions of the Bush administration is the worst possible light, even in situations when this forces the Democrats to twist the reality. It seems reasonable to criticise the Iraq War on several grounds: there were no weapons of mass destruction, no al-Qaida link and no 911 relationship, and the unilateral action without a UN mandate created yet another dangerous precedent in international affairs. But Democrats go further than this: they frequently claim that the sectarian problems seen in Iraq since 2003 and especially in the wake of the Samarra bombing in 2006 were a “natural” expression of Iraqi politics, and that the high degree of Iranian influence seen in today’s Iraq is somehow a “natural” phenomenon in a country with a large Shiite population. The argument is that the Bush administration should have known that any tampering with the authoritarian structures of Baathist Iraq would automatically have prompted a civil war with a strong Iranian role among the Shiites. 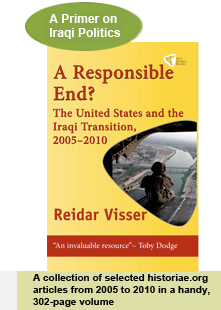 It is also a way of ultimately blaming the Iraqis themselves for all the problems they are currently going through. This is to ignore the historical record of coexistence between Shiites and Sunnis in Iraq and the fervent anti-Iranian attitudes among large sections of Iraq’s Shiites. Of course, on the latter point, John McCain is off the mark just like Obama: by suggesting that “the consequences of defeat would have been increased Iranian influence” he overlooks the fact that some of America’s best friends in the Maliki government have extremely close ties to Iran and that Iran’s interests so far have been well served by the Republican “victory” project and Washington’s peculiar choice of alliance partners among Iraq’s Shiites. But on the whole, Republicans, to a greater degree than Democrats, at least seem to recognise the historical roots of Iraqi national unity. From the Iraqi point of view it simply seems more dangerous to have a US president who based on some extremely superficial reading pretends to know something about the divide between Sunnis and Shiites than to have one who reportedly is completely ignorant about the subject. The bottom line is that there is nothing in Iraq’s history that should prevent the country from reverting to its natural role as one of the world’s great nations. Those who try to suggest otherwise either ignore the empirical record or do not care for the well-being of the Iraqi people. It is said that Obama has several top-notch, progressive and knowledgeable advisers who know about all these things, and who are unlikely to look to soft partitionist Joe Biden when it comes to actual policy-making. But unless these voices can have a real impact on what their candidate says in front of millions of Americans in prime-time televised debates, their usefulness seems unclear. If yesterday’s unfounded attack on Iraq's record of coexistence is the most inspirational thing Obama can come up with on Iraq then it is hard for a non-American observer to see any fundamental difference between his candidacy and that of all the others before him. Obama's remarks were yet another example of how American politicians can be careless in dealing with other sovereign nations and their histories, and they also go in exactly the wrong direction at a time when politics in Iraq is once more becoming more cross-sectarian.